Muzaffarpur Boy won Gold in Para Asian Games. “A disability not remains a disability, if you have a strong willpower”. Sharad Kumar proved this saying. This Muzaffarpur boy won gold in Para Asian Games. This time the Para Asian games is happening in Jakarta. Here, apart from Sharad many others are participating and representing India. Yes, you got it right. He broke the world record. In Rio Olympic, he won Silver medal for the country. 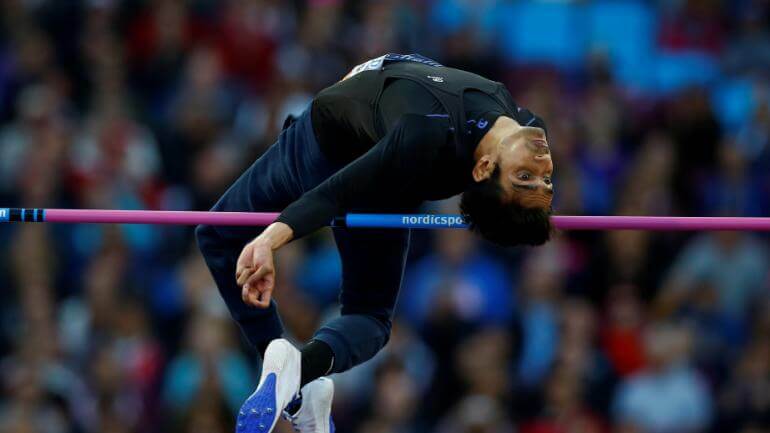 This time in High Jump T-42/63 he jumped to a height of 1.9m and broke the world record. Sharad’s Mom, Kusum says that he was not handicapped by birth. He was a healthy kid. At a mere age of two years after fever, he got paralysis attack in the right leg. Then they noticed the symptoms of polio. Sharad’s father Surendra and mother Kusum are not that financially good. Still, they took him to Patna for better treatment, but all efforts went in vain. On sports day, Sharad was felicitated by the chief minister of Bihar “Nitish Kumar”. Sharad’s coach appreciated Nitish Kumar for this act. He said that it felt really nice when he didn’t keep any differences between normal and handicapped players. Sharad Kumar belongs to Motipur, Muzaffarpur. He got his education from Darjeeling. There, he developed his interests in sports. During the school days, he broke his elder brother’s record. In high school, he broke the national record. He has completed his master of arts from the famous Jawahar Lal Nehru University. Till now, India has won 8 gold, 17 silver, and 25 bronze medals. The total no. of medals has become 50. With this count, India ranks 9th in the world. China still tops the rank.